In case you missed it, we have had a couple major storms in the last week. One was just a lot of strong wind. 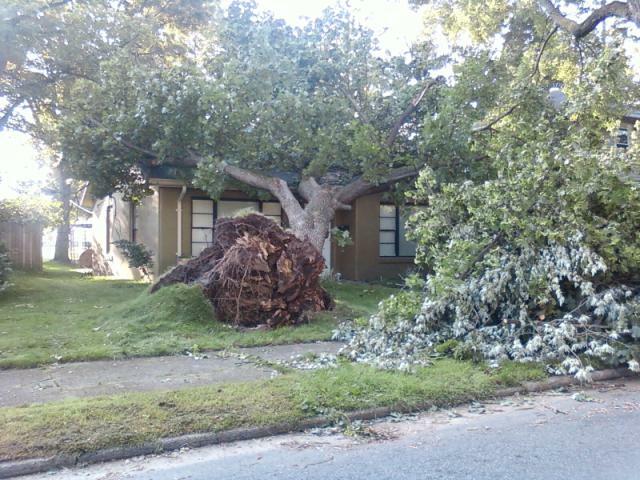 And then Wednesday night there was supposedly a tornado just up the street from us. Not a big one, but significant enough to uproot several trees like this one. We didn't take any damage though. We are all doing well. Funny, we had similar destruction in CVille. It was very strange to come into town with almost no light pollution.